We are excited to share another beautiful Clemson engagement photo session with you for today's Wedding Wednesday. Today's session comes from the talented Ray and Erica Tisdale of 35 Photography in Atlanta. Meet Shannon and Josh. Both went to Clemson, but at different times. Shannon got her BA in Psychology in 2007 and her Master's in School Counseling in 2009. Josh graduated from Clemson in 2004 with his BS in Mechanical Engineering and in 2011 with his MBA. If not for Clemson, Shannon and Josh never would have met... In 2007, Shannon applied all over the Southeast to different graduate schools. In June, after already sending a deposit to attend Florida State, Shannon realized that she wasn't quite ready to leave Clemson and decided to stay. 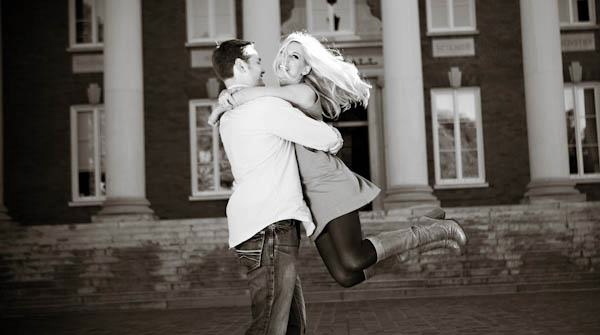 It turned out to be a life changing decision because she met Josh three months later at Tiger Town Tavern through mutual friends. It was a Thursday night and Josh was in town to celebrate a friend's birthday. They went on their first date the following Thursday and spent time in Clemson for the next two years until Shannon graduated from grad school. The couple picked Clemson for their engagement photos because that's where they met and it is where they have some of their favorite memories. 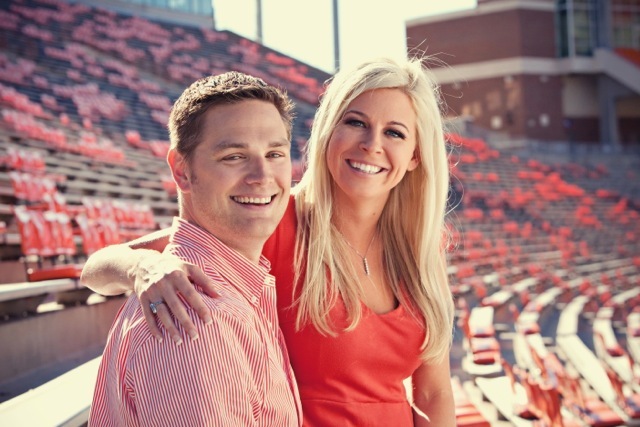 Now living in Greenville, Shannon and Josh are grateful they live close enough to still experience Clemson every football season. 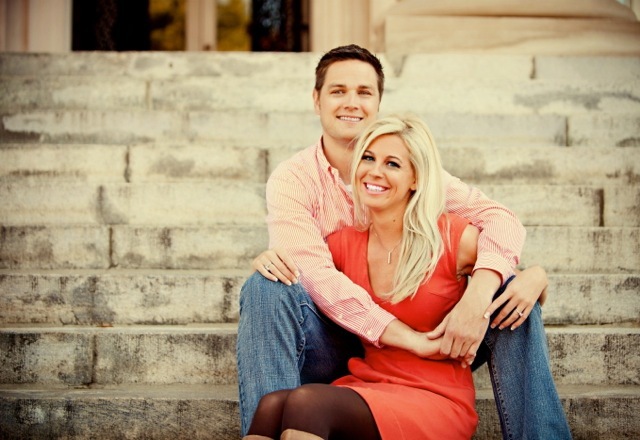 The proposal was at their home in Greenville. 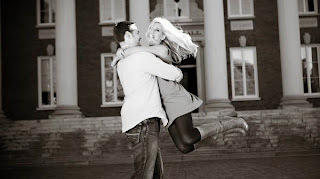 Josh surprised Shannon by popping the big question on their balcony one Sunday morning in May of last year. 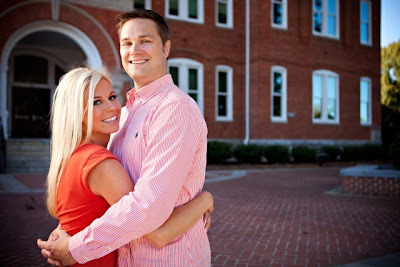 The wedding will be in Atlanta on June 16 (a week from this Saturday! 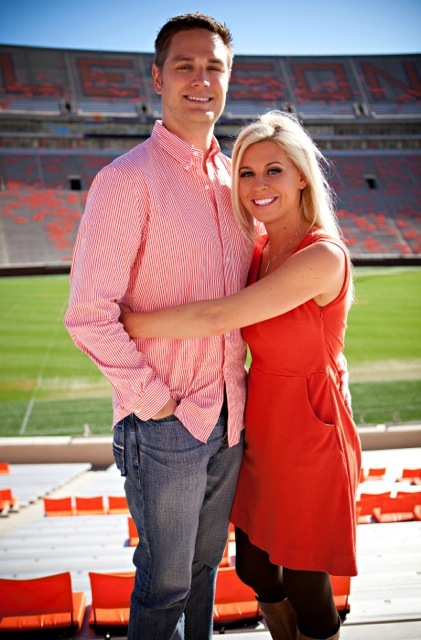 ), and the couple is looking forward to celebrating with a big group of Clemson friends. They have plans to pose for photos with a Tiger Rag and their Clemson koozies are in the works! 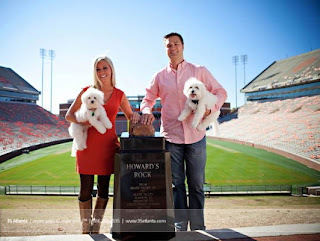 Special thanks to this lovely Clemson couple for sharing their engagement photos and their love story with us today. Best wishes to them on their upcoming marriage!